"Sorry to hear that my fellow classmate has moved on to..."
"Dear BobbiAnn, I was sad to hear the news of Joe's passing..."
"Sending along my deepest sympathies for your loss. Joe was..."
"I was just telling "Little" Joe, my dear cousin, what a..."
"Deepest sympathy for your loss. 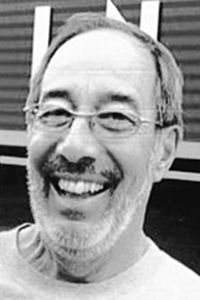 I will always remember his..."
CAPE ELIZABETH - Joseph David Rosolino, 77, passed away unexpectedly at home Feb. 1, 2019. He was born on July 27, 1941, in Oyster Bay, N.Y., son of Guido Joseph Rosolino and Hazel Audrey Chamberlain. He graduated from Hampden Academy in 1959, and Beals College in Bangor in 1961, and married his beloved high school sweet heart and best friend Roberta Ann Marsh Nov. 18, 1961, in Bangor. In addition to his wife, he is survived by Joseph W. Rosolino and daughter-in-law, Gina Vigliarolo of New York, and Karen Infantino of New York and Nicholas Rosolino and daughter-in-law, Braeleen of New Gloucester. He was affectionately called "Pop" by his grandchildren, Danielle Rosolino, Andie Rose Infantino, and Luka Rosolino. He is survived as well by his younger brother, Jimmy Rosolino of Nashville, Tenn., and sister-in-law, Wilma Marsh of South Portland and Punta Gorda, Fla. He was predeceased by parents and brothers, Guido Joseph Rosolino, Hazel Audrey Chamberlain, Roger Mason and Dennis Mason. In 1963, he relocated back to New York along with his wife and young son, Joseph, after landing a position at Gifford Construction in Melville, N.Y. In 1974, he became a proud member of the Laborers International Union of North America. His auspicious career culminated as vice president at Joseph Graziose Construction, Glen Head, N.York in 1995. St. Bartholomew and was always willing to volunteer his time in order to help others. His volunteerism included the annual Beach to Beacon and as a devoted board member of the Cape Woods Association. He enjoyed watching movies, especially Star Wars and the Lord of the Rings series. Being an avid fisherman, he loved fishing the streams, ponds and lakes of Maine with his buddies, especially with his best friend, Charlie. Little Kennabago and Pleasant Pond were favorites, as well as Coffee Pond in Casco, where the family camp was located. He loved watching FC Barcelona and Lionel Messi scoring goals "like only he can". He loved food! Being Italian, food was of vital importance to him and his family. Whether it was Sunday sauce made by his loving wife, or dining at his favorite restaurant, Hugo's in Portland, family and food was always celebrated with joy and love. He was a great story teller, wonderfully recounting family memories and events in vivid detail. Joe loved conversation; his sense of humor and laughter was contagious. As much as he loved food, he loved and adored his children and grandchildren. Above all else he honored and treasured his beloved wife, Bobbi. They did everything together. They spent many times at Disney World and other beautiful destinations as members of the Disney Vacation Club. In the spring of nearly every year, they loved visiting Bar Harbor and enjoyed the splendid beauty of Mount Desert Island. Joe loved spending time with Bobbi at home, sharing a simple meal or just gazing at the flames by the fireplace together. We will miss him greatly, our beloved husband, wonderful Dad and loving Pop. He lived a beautiful life and modeled for us how to be strong, generous, gentle and kind. With gratitude we thank you and with our whole hearts we love you. A memorial service will be held on Monday, February 11, at 11 a.m., at St. Bartholomew in Cape Elizabeth. Reception to follow.